Echostage has seen the likes of popular DJs including Calvin Harris, Avicii, and Armin van Buuren. 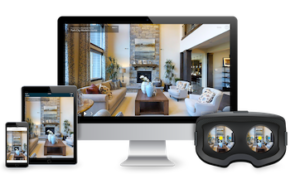 ShowcasePros’ captures your place by scanning your location. We learn about the features and uniquenesses. We can capture 3,000 to 5,000 square feet per hour. Some locations will require more than one day of scanning. We have years of experience and we use best practices to give you the best results. Once it has been collected we upload for processing. Once processed, we provide a preliminary view, allowing our customers to see the results early.